We made it to the Vale4Business Finals! The year has certainly started off with a bang! January saw the unveiling of Ridgefield Consulting’s refreshing rebrand concept as well as accompanying new website design. It was also announced on 1st February that they have been selected as finalists for Vale4Business SME of the Year Award. 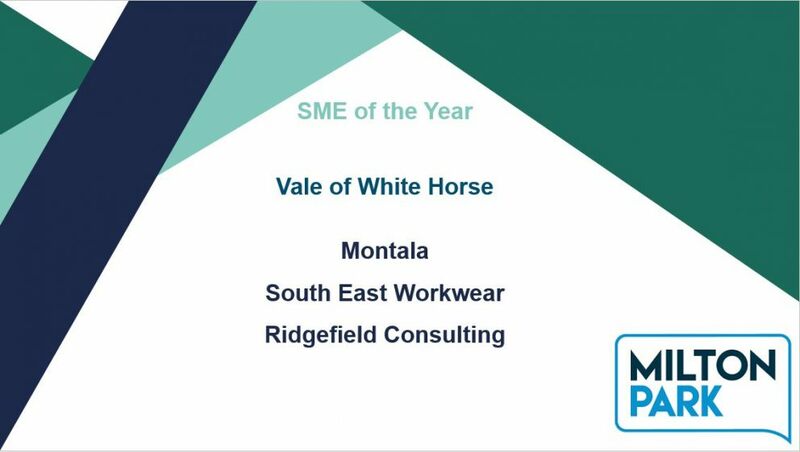 This year, the volume and quality of applications were so strong that Vale4Business had to split the category into two: South Oxfordshire and Vale of White Horse. The award is sponsored by Milton Park, which the organisation has always seen as an integral pillar to the business network of the South Oxfordshire and Vale of White Horse region. There are hopes that the recognition will allow for more opportunity to work with the prestigious businesses on Milton Park. The judges will be looking for evidence of how Ridgefield Consulting have promoted their business, how they have used the value of their location in the Vale of White Horse district, the potential for future growth and the stand-out quality that makes the business a worthy winner. Being chosen as finalists is already a noteworthy achievement, but the team are confident that their relentless hard work and passionate dedication to pursuing the company’s mission could make them stand-out winners amongst the competition. Over recent years, Ridgefield Consulting have particularly built up their reputation as the go-to accountants in Oxford for individuals and businesses who want the full expertise and service of a firm without the corporate outlook or exorbitant prices. There’s plenty of ambition and exciting plans for the year ahead as they look to develop their offering, adding even more value to clients. “No matter the outcome, we will continue doing what we’re doing; and that’s everything possible to grow, beat the competition, and aim to be the best at what we do” – Simon Thomas, Managing Director. Please watch this space. The winner will be announced at the Evening Ceremony held at the Williams F1 Conference Centre on 15th March 2019. Official announcement can be found here.